Submitted by a_warming_trend on March 9, 2015 – 1:23pm. 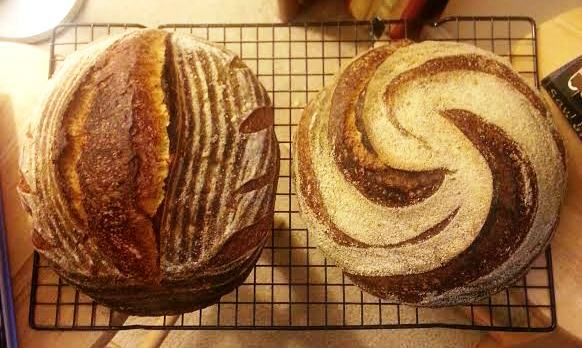 These are 76% hydration, 20% levain, 30% whole wheat, with a smidge of pate fermentee for that little added umph. No crumb shots, because they were gifts. Here’s to making it through Monday, TFL!